treated with respect and dignity. Staff was courteous and understanding. 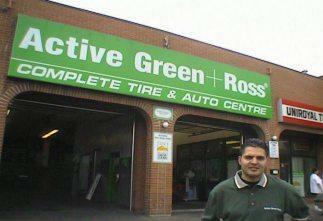 I will definitely be a returning customer for all my automotive needs. Eugene (and the gentleman on the counter in the afternoon, cant remember his name) went above and beyond to ensure that the vehicle was delivered on time and on estimate. I am extremely happy with the service. Courteous, honest, conscientious. Thoroughly enjoy dealing with James and Eugene. Called to check if centre could do Drive Clean. Arrived within time suggested. Test was done quickly. Staff friendly & pleasant. James is a great guy. Very knowledgeable and friendly. James, as always, was pleasant and professional. My service appointment was on time and finished earlier than estimated. These guys are phenomenal.They will get first chance on any Future work on my 3 cars . They have hit the bar for customer Service . Iâm sure business will steadily increase for them .